Being a 22 year old girl in expensive Los Angeles can make decorating a bit challenging at times. 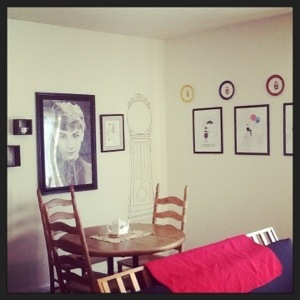 Maybe not decorating necessarily, but making a small, cold, white-walled apartment feel like home. 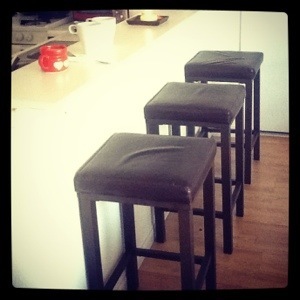 The only reason I love decorating is because I love hosting and having people come to my home. Tonight, I’m going to share some of my most special, personal, lovely, heartfelt memories with you…the memories that fill my home. 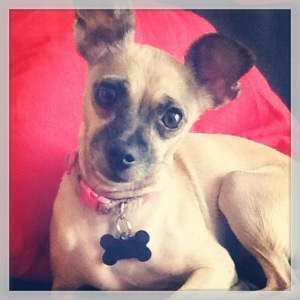 The sweet dog in the photo above is my little rescue, Abby. My room mate and I recently created that chalkboard paint wall art because we had no idea what to place about our mantel. We found a huge Winnie The Pooh picture at Goodwill. We bought it and painted over it with chalkboard paint. Cheap, easy, and so fun! Maddy (my sweet room mate) and I also found these gorgeous, shimmering trays at Goodwill. 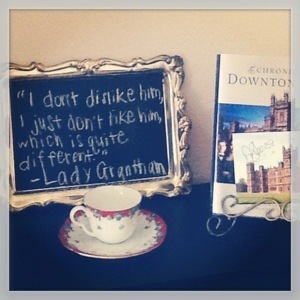 We also painted those with chalkboard paint (which really took our Downton Abbey nook to a whole new level). 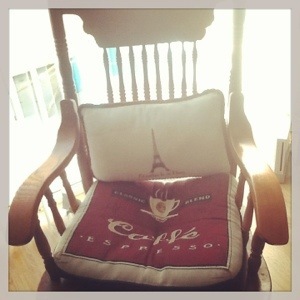 No home is perfected without a comfortable, relaxing chair to ponder in. 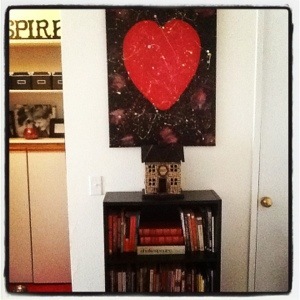 I firmly believe that decorating should be budget friendly & personal. The canvas you see above was painted for me by my wonderful, talented Mama. 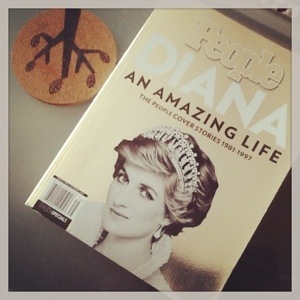 Books make me feel right at home. My papa always said you have a friend when you have a book. 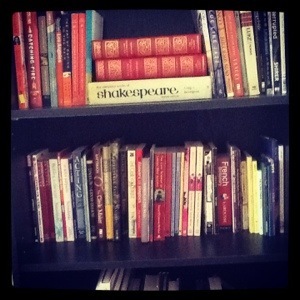 Fill your shelves with books that encourage ideals, intelligence, romance, fantasy, adventure, and tons of fun! Displaying your favorites is a really cost effective way to add some very personal touches to your apartment or dorm room. 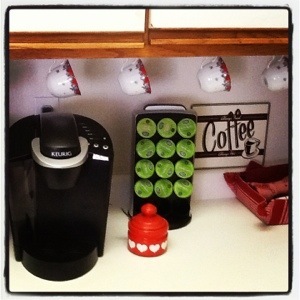 I may be just a little addicted to coffee & tea. My dad got me a Keurig for Christmas, and it truly saves loads of money by choosing to make your home the new Starbucks. 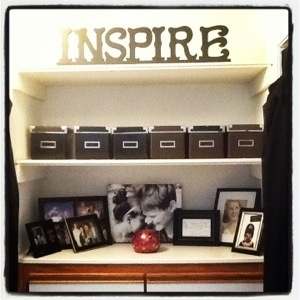 The photo above is one of my favorite budget decorating adventures. 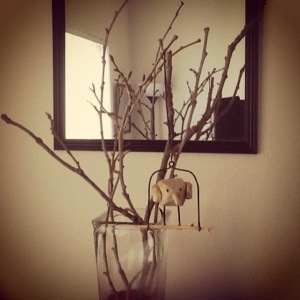 I found the sticks by the side of the road and stuck them in a vase I had with some red sand from Ikea. Next, I found a marked down wooden bird for $2 at Anthropologie because it was meant to be a Christmas tree ornament. 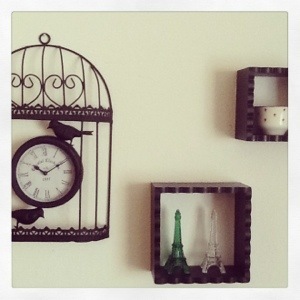 Consider finding fun ornaments to hang in your home for unique style without breaking the bank. 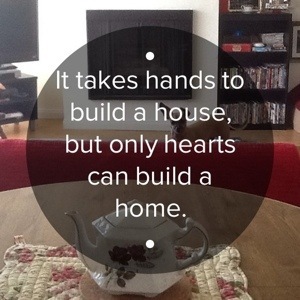 It’s fun to stay true to your roots in your home decor. 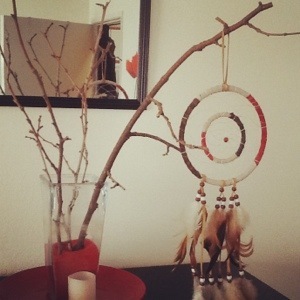 I’m Native American, so I like to catch my dreams. 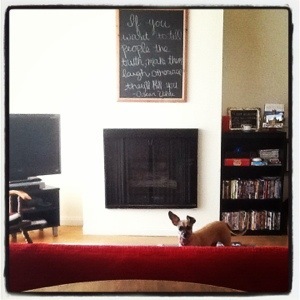 The photo above is my silly dog, Abby…the apartment mascot. 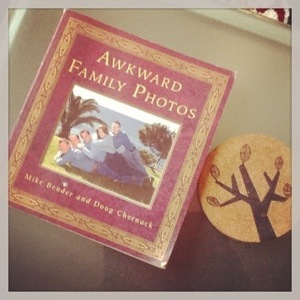 …but we also need the silly coffee table books. You know-for balance. 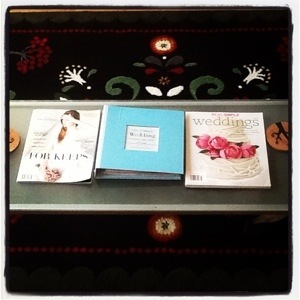 Since I got engaged, my coffee table has been filling up with wedding magazines. Remember: your books of choice can change with each new season of life! Keep it personal. I love framing cards that loved ones give me. 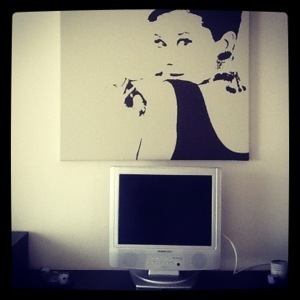 It is unique, personal, cost effective art. 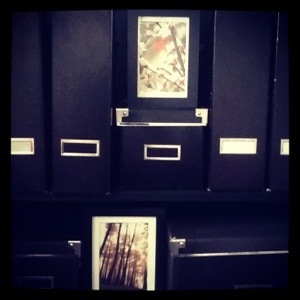 Each nook & cranny of your home should be filled with memories and have a story to tell. Make your patio a peaceful, relaxing getaway. 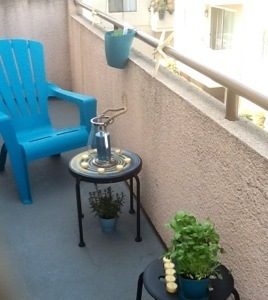 (Everything in my patio is from Target & Goodwill). 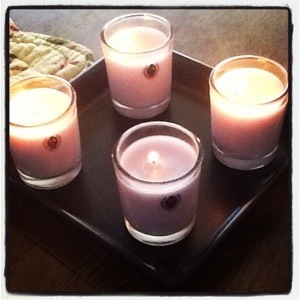 Candles make every home, big or small, feel warm & welcoming. Lavender & vanilla are my favorites. Thanks for taking the time to tour my home. Take these tips to heart, and have fun cultivating your own oasis by adding your very own personal touches.